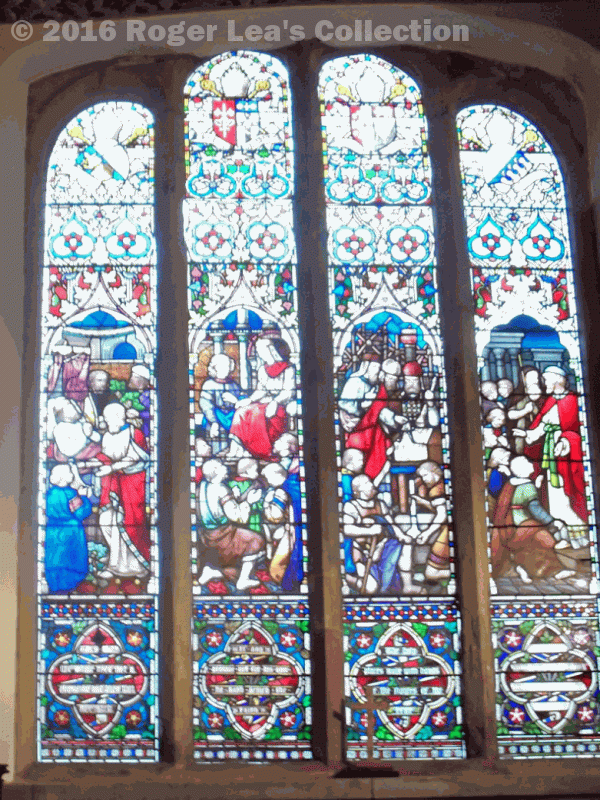 The east window of the Vesey Chapel in Sutton Parish Church is known as the Bishops Window, because each of the four panels celebrates a bishop who had Sutton connections. Only one of the bishops was a previous Rector of Sutton, John Arundel, Rector from 1431 to 1432. Arundel may never have set foot in Sutton, at least he hardly ever came here, as he held other more important posts. The origins of Sutton Rectory are obscure, but it was probably established early in the thirteenth century when the Earl of Warwick remodelled Sutton as a thriving market town. A handsome Rectory was built with a large area of glebe land attached, and everyone had to pay tithes to the Rector. When a new Rector was to be installed, the Earl of Warwick made the appointment; often he bestowed the valuable office as a reward for service or as a favour to a powerful lord. The new Rector would sometimes be an absentee, enjoying the income while employing a poor curate to act in his place. King Henry V died in 1522, having charged his right-hand man, Richard Beauchamp Earl of Warwick, with the “care of the person” of his one-year old son, King Henry VI. By 1431 John Arundel had been appointed the young king’s confessor and physician, and the Earl of Warwick, having it in his gift, gave him the valuable Sutton Rectory. Other preferments followed - precentor of Hereford in 1432, when he relinquished Sutton Rectory, valuable “stalls” at Wells and Lichfield cathedrals in 1443, Lincoln and Hereford in 1446, and St. Pauls in 1456, as well as other lucrative posts with only nominal duties, culminating in Bishop of Chichester in 1459. 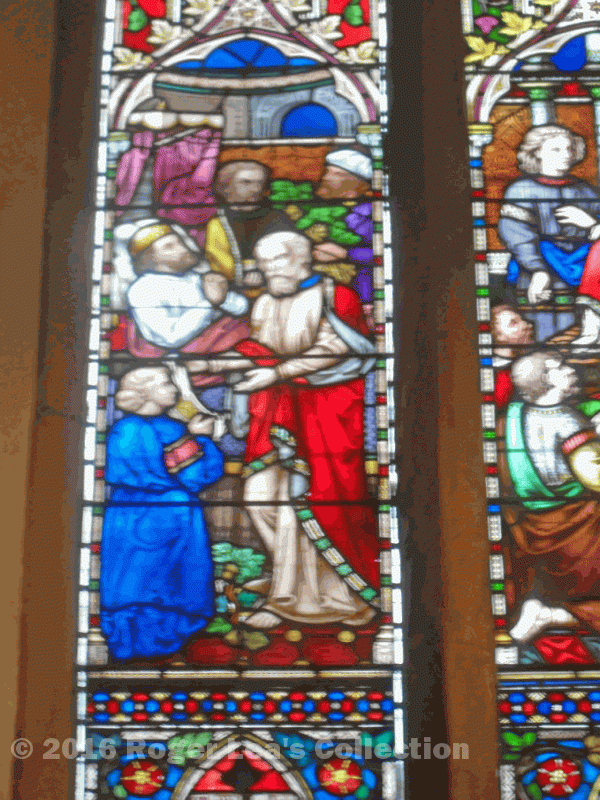 The Bishops Window was the brainchild of W.K.Riland Bedford, the Victorian Rector of Sutton, each panel being donated in 1870 in memory of a wealthy Suttonian. The Arundel window was given in memory of Mr. and Mrs. Richard Sadler, and the design, carried out by Ballantynes of Edinburgh, was no doubt suggested by Riland Bedford - he was a notable historian and an authority on heraldry. The window refers to Arundel’s position as the King’s physician by depicting an Old Testament scene - Isaiah the prophet receiving some figs to heal King Hezekiah - with, at the top, a heraldic device, the arms of Chichester impaling Arundel, and at the bottom, the motto “they that are whole need not a physician but they that are sick.”. A memorial tablet to Mr. and Mrs. Sadler was originally placed in the alcove beneath the window, but his has been moved elsewhere in the church, and may need to be moved again when the re-ordering of the church takes place in 2016. On it is displayed the Sadler crest, a lion rampant. This crest can still be seen in High Street, above the archway to their house, number 36.